The best way to separate and identify selling problems from symptoms is to expand your questioning and thinking by utilizing “The Problem Solving Cube.” The best way to see a different solution is to look at something with different eyes, from a different angle or with a different direction. 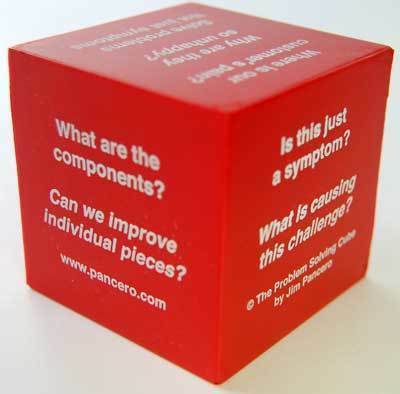 With the “Problem Solving Cube” you have six different sides or angles to evaluate your problems. Includes 4-page guide on how to use with your team.